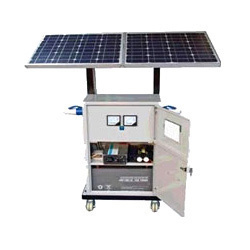 We are a leading Manufacturer of solar ups from Bengaluru, India. The Solar UPS made available by us, converts the solar energy into electrical energy and stores it for situations of emergencies. The offered product, owing to the quality raw materials and modern technology used in its making, provides superior functionality. Manufactured in compliance with the set industrial norms and guidelines, its quality never diminishes.